HIGH FRUCTOSE FREE SYRUPS LIST! Use our list to find syrups that are high fructose corn syrup free. Be sure to confirm your selection at the market shelf as some syrup products may change their ingredients. We urge product manufacturers to adopt the use of our uniform button for placement on their syrups front labels that do not contain high fructose corn syrup but until that time confirm your selections and report any syrups that may be on our list yet may have slipped the high fructose corn syrup into their ingredients to us by clicking HERE to email us. When looking for a caffeine free, gluten free or sugar free product all that we need to do is look at the front label and it is typically proudly announced on the front "Caffeine Free", etcetera. We adapt to this pattern language and learn what products are without caffeine and instinctively make choices that are correct. As consumers we have never needed to refer to the item as without caffeine or no caffeine as caffeine free rolled smoothly off of our tongues and the confusion was minimized. To me it seems simple, I desire to purchase products that are High Fructose Corn Syrup free or HFCS free. I don't think to say that I desire syrups without High Fructose Corn Syrup or without HFCS, or that do not contain high fructose corn syrup, this seems to be cumbersome and confusing yet others refer to these syrups in this manner. The pattern language of food product labeling is beginning to go off path, providing further confusion. Many products proudly announced on their label that they are caffeine free, sugar free, gluten free and other natural substance free. The lack of a front label announcement for products that are high fructose corn syrup free with a standardized logo such as the HFCS FREE banner button may be due to the fact that High Fructose Corn Syrup is not natural yet is a highly processed substance. According to The Atlantic, the FDA never defining natural for processed food labeling purposes which furthers the confusion. My common sense definition eliminates does not allow high fructose corn syrup as it is a processed and is no longer a syrup of the earth. Many processed food manufactures offer several syrups within the same syrup group so making the 'does not contain HFCS' or 'no high fructose corn syrup' or 'high fructose free' announcement on one label may appear to shame their other syrup offerings that do contain high fructose corn syrup by drawing attention to them. This thought process may adversely affect their syrups that contain high fructose corn syrup. It breaks down to this, the food manufacturer's industry may be concerned that there will be a backlash against their syrups. Most syrup manufacturers do typically respond to public pressure when they see fit to prevent a backlash yet with high fructose corn syrup the manufacturers are in a position that they feel is unique and are happy with the status quo. They don't understand that many consumers only desire to be able to readily locate the high fructose corn syrup free syrup products that they desire and are not interested in shaming them for offering other products that do contain HFCS. So how do we help the manufacturers of syrups that both do and do not contain high fructose corn syrup in their ingredients feel comfortable placing a banner on the front of their syrups that do not contain the syrup? The precedence that has been set over the last 50 years in syrup labeling should be followed by referring to these syrups as being high fructose corn syrup free or for short, high fructose free, and HFCS FREE. This is sensible, will eliminate any associated label shame as it is following the pattern language of the processed food labeling industry. As consumers we are concerned with the syrups that we consume, we are not looking to start a backlash, we will leave that to the scientists and reporters on television. Our concern is to easily locate the syrups that we desire to purchase and ensure that syrup options that are high fructose corn syrup free or without high fructose corn syrup are readily available. It will not be until consumer demand prompts syrup manufacturers to provide a uniform button label on the front of their syrups in a visible placement that we see this action happen. As consumers we do not shame syrups that are not organic and do not contain the organic button yet we cherish the syrup options that are proudly labeled as organic in a readily recognizable format. 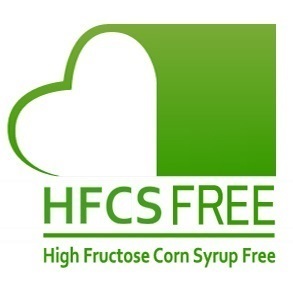 To be easily informed and be able to quickly make syrup selections by finding foods that are made without high fructose corn syrup is the goal of HighFructoseFree.com and its list and upcoming search tools. The concept that the more rare a syrup is, the more value it has to it comes to mind when I search the market shelves for high fructose free syrups. Is there a mindset that consists in the food producers industry that dictates that limited offerings of syrups that do not contain high fructose corn syrup provide added value to those offerings? After all, when the list of ingredients is limited to five natural syrups the syrup easily makes it from the market shelf to my pantry without any angst over the slight increase in price over the alternative. With one limited offering I can be made very happy, especially if I do not have to spend excessive time locating it in the market. I have heard the phrases syrups that do not contain high fructose corn syrup, syrups with no high fructose corn syrup, syrups free of high fructose corn syrup, high fructose corn syrup free syrups, syrups without high fructose corn syrup, syrups without the ingredient high fructose corn syrup, syrups that do not contain high fructose corn syrup, syrups that are not made with high fructose corn syrup, syrups that are not sweetened with high fructose corn syrup and more. Additionally this is sometimes simplified by using the contraction HFCS in lieu of high fructose corn syrup. This results in a possibly simplified yet probably more complicated terminology resulting in syrups that do not contain HFCS, or syrups with no HFCS, syrups free of HFCS, HFCS free syrups, syrups without HFCS, syrups without the ingredient HFCS and more. Terms that I have heard yet are not so global are reduced HFCS or reduced high fructose corn syrup and low HFCS or low high fructose corn syrup. There never was a class that taught us high fructose corn syrup terminology. In the early 1970's Pre-High Fructose Corn Syrup society sugar was the principle sweetener in the American diet. With cheap subsidized corn being available sweetener made from corn is now the principle sweetener for processed food syrups and that sweetener is High Fructose Corn Syrup. Without our knowledge it just sneaked up on us and into almost every food item imaginable. During the 1970's syrup manufacturers discovered that high fructose corn syrup was a cheap sweetener that could replace natural sugar as a sweetener and profits skyrocketed. Slipping the syrup into the syrups became almost seamless, possibly the switches were made in increments over time so that the difference in taste was not detected. As in the new coke, classic coke scenario, this may have not been so seamless. Today food syrups that are manufactured with HFCS are typically high calorie foods which can be sold at cheaper prices due to the abundance of subsidized corn and the resulting High Fructose Corn Syrup. The recipe was to replace expensive natural ingredients such as sugar with HFCS, the price to produce the syrup was reduced yet the market shelf price continued to increase and profits soared. So the jury is in on the proper terminology to use when requesting or discussing high fructose corn syrup. Following the pattern language of the labeling industry and calling these syrups high fructose corn syrup free should be used to prevent confusion and provide a standard for future discussions and syrup selections. Original may not be Original! "Is Mrs. Butterworth a fraud" Imitation versus authentic article! To spotlight your high fructose corn syrup free maple syrups product or add it to our list of high fructose corn syrup free syrup options please send us a categorized, itemized list of your hfcs free syrup items that meet the requrement of being free of high fructose corn syrup. 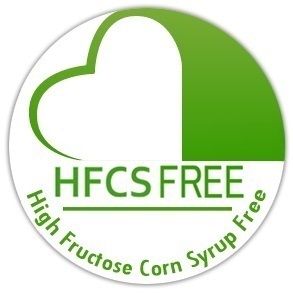 Following product review, all unopened hfcs free maple syrup samples will be donated to charity. Minnesota Maple Producers Association Inc.
New Hampshire Maple Producers Association Inc.
Understanding the difference between maple syrup, maple flavored syrup and pancake syrup is important to understanding what you are actually purchasing at the supermarket. It is not hard to avoid high fructose corn syrup in these products if you understand what the difference in the names is. The FDA regulates what terminology is used to identify, label and define food products that are marketed in the United States. Maple Syrup, Pure Maple Syrup and 100% Pure Maple syrup generally define the natural unadulterated syrup that is a product of tapping maple trees, collecting the sap that is produced each year and then boiling the collected sap to remove the excess water, resulting in a rich intense natural flavor Maple Syrup. About 45 gallons of sap are needed to produce one gallone of Maple Syrup, this this high water percentage in the sap requires intense heat to boil out the 45 gallons of water that are present in the sap. Please do not confuse the term flavor as it is used here as this is the natural flavor as a product of the earth and not modified in any fashion. Pure Maple Syrups are rich in natural maple flavor and require small quanties to produce bold flavors. These natural syrups that are free of high fructose corn syrup and other artificial ingredients only require a light drizzle to flavor a stack of pancakes, waffles or french toast. Using a small amount of Pure Maple Syrup on your breakfast selection allows one to enjoy the flavor of the grain based pancakes as well as the pure maple syrup flavor. Maple Flavored Syrups or Pancake Syrups are typically flavored corn syrups with low nutritional value that are typically poured on pancakes in large quantities, soaking the pancake in High Fructose Corn Syrup or other low nutritional value and engineered ingredients. These flavored syrups may be found in a variety of different flavors such as strawberry or blueberry and maple yet are typically full of artificial ingredents used to flavor the high fructose corn syrup or corn syrup base. These flavored syrups are most likely engineered to resemble the natural flavors of Grade A Dark Maple syrups. Be sure not to let the price difference between Pure Maple Syrups and Maple Flavored Syrups fool you. The amount of the product required to produce a palettable flavor effect negates any perceived cost savings. Producing Pure Maple Syrup is a labor intensive, time consuming and messy job that begins in the deep snows present in early January and ends in the muddy early spring of the Sugar Camps in the thawed muddy forests of North America. Whereas the production of maple flavored syrups is typically a machine driven process to produce the syrup and then flavorings added in a factory. Fancy Maple Syrups are made using the first Maple sap that is collected of a season. These saps typically boil down to Maple syrups that is very light and almost clear in color. This very light amber Maple syrup has a slight vanilla flavor that accents the natural Maple flavor. These syrups are used for fruit or ice cream topping as well as pancake, waffle or french toast table service. Small amounts are required to give bold flavors, be cautious, quality over quantity when drizzling this syrup on your culinary creations. You must not allow children who are accustomed to pouring large amounts of high fructose corn syrup Maple flavored syrups on their foods pour this syrup on as a little goes a long way. I like to refer to this as liquid gold Maple syrup. Grade A Medium Maple Syrups are made using early season Maple sap yet not the first collection. This syrup is slightly darker in color than fancy Maple syrup and is also a good table syrup for pancakes and other topping purposes. Grade A Dark Maple Syrups are made from saps collected toward the end of a season. These syrups are dark in color and are best used for baking and in Oatmeal flavoring. 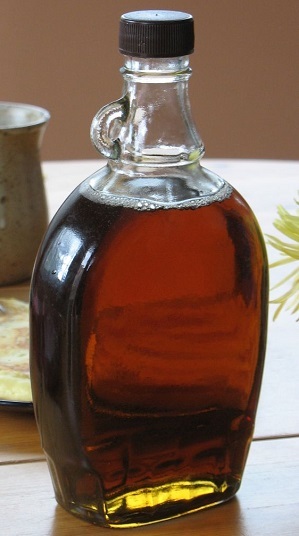 Grade A Dark Maple syrup is the traditional hearty maple syrup that Maple flavored syrups are modeled to resemble. Once again, moderation when pouring as this Maple syrup offers an intense flavor. Grade B Maple Syrups are Maple syrups that are made from the final saps that are collected from the Maple trees of each season. These saps are collected at the end of March or beginning of April when all of the snows are melting and there is plenty of water for the trees to begin soaking up. The Maple trees may be in bud beginning to open their new leaves at the time that this sap is collected. This is also a very muddy time of the season as the ground is soft and full of water from the snow melts, making the collection process a messy process as compared to when the grounds were still frozen at the beginning of the season. This type of Pure Maple Syrup is used for cooking and flavoring as it is a highly intense flavor. Again, use in moderation as its strong Maple flavor will go a long way. Maple syrups are a North Amereican product as Maple trees are native to North America. 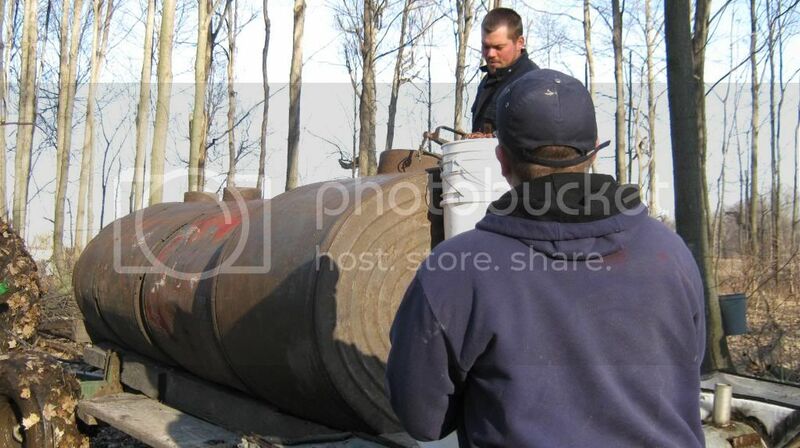 Requiring a lengthy chill period in the winter to produce their syrup these trees are generally found in the north eastern United States and Canada. You will not find Maple Syrup that is a product of Texas, Georgia or other southern or western states due to the climatic conditions that these trees require to grow, survive and thrive. For cost comparison I performed a taste and quantity test, non scientific, to determine the amount of syrup that I desired for a stack of three pancakes. For a stack of 3 pancakes of approximately six inch diameter I required about one teaspoon of Pure Maple Syrup. For a similar stack of pancakes I desired approximately 12 teaspoons of Maple Flavored Syrup. Of course, I used immitation maple flavored syrup that was made of corn syrup, and did not use Maple flavored High Fructose Corn Syrup. The results of my non scientific study one can deduce the amount of weight gain that would occur if I were a retular consumer of Maple Flavored Syrups made with Corn Syrup or High Fructose Corn Syrup.